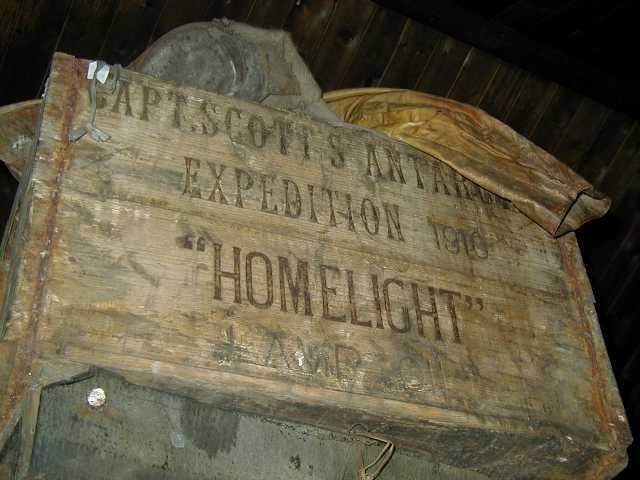 Scotts Terra Nova Expedition arrived on Ross Island in January 1911. As Sea Ice blocked his passage to Discovery Hut of which he occupied the previous year. 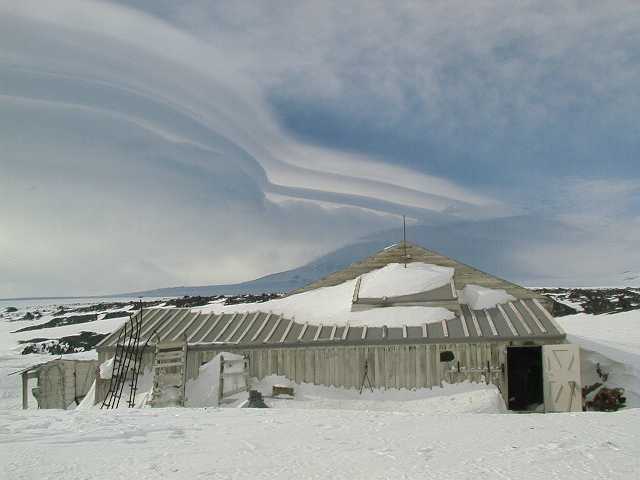 Scott established this new base on Cape Evens, named after his second in command, Teddy Evens. 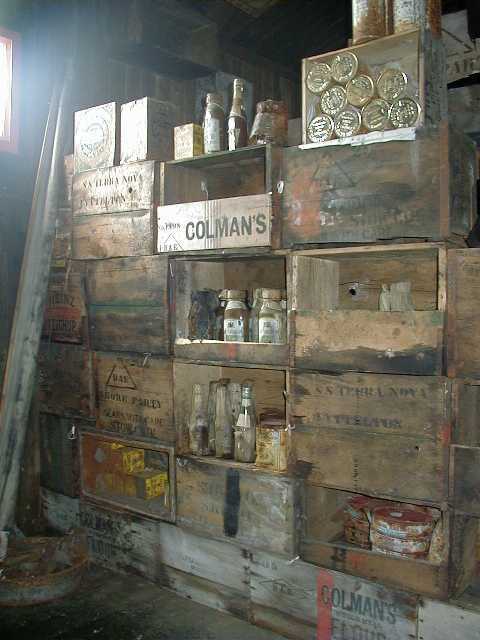 Crates of food and scientific equipment formed walls, which segregated living quarters for the 25 men that called this 48 by 24-foot hut home. The hut was prefabricated in England but local improvements including seaweed insulation were added after arrival. 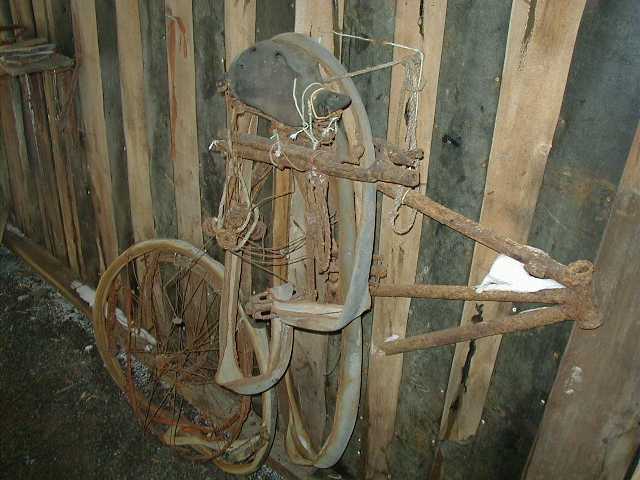 Even though it has been 88 years since the hut was last occupied, the extreme conditions of Antarctica have preserved everything as if Scott were about to return. 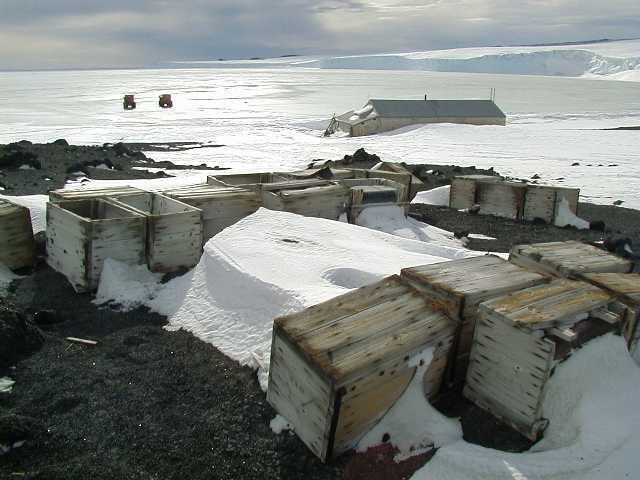 These crates carried the provisions that would take Scott and his men to the South Pole. On January 17,1912 Scott reached the Pole only to find that Roald Amundsen had beaten him to the bottom of the world by 33 days. Tragically Scott and his team died on their return to Cape Evens. 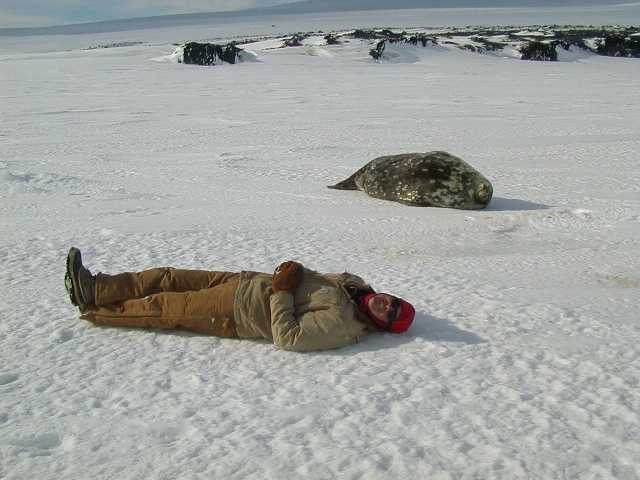 In order to achieve his goal of reaching the Pole, Scott had implemented a system of food caches. 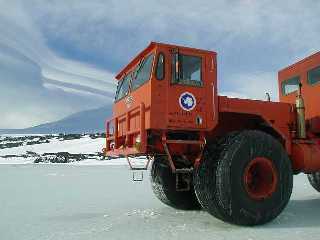 To transport the supplies the expedition began with 2 motorized sleds, which soon failed to fullfill their mission. 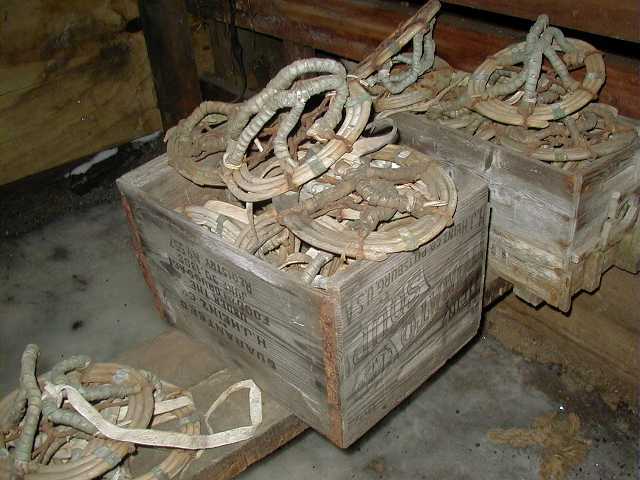 10 ponies had also accompanied the group and had these modified snowshoes fitted to continue transporting gear. When the ponies could go no further dogs continued the trek. 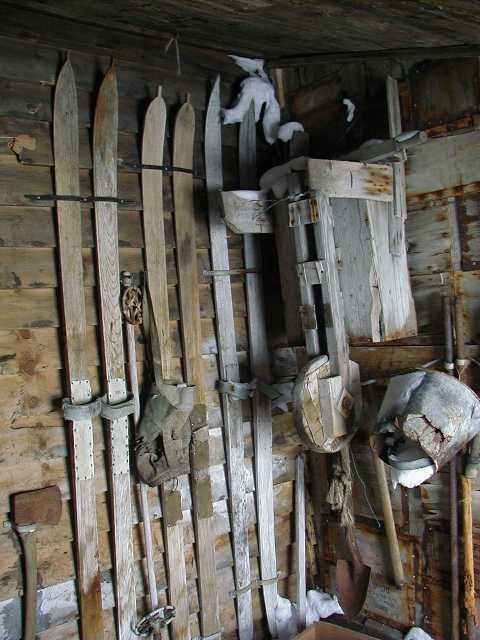 Ultimately it was up to these skis and the determination of Scott and this team to travel the 800 plus miles to the Pole. 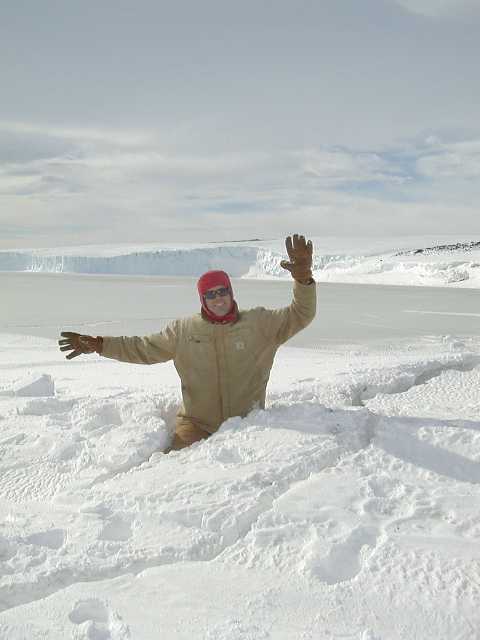 The Terra Nova Expeditions sole purpose was not to reach the South Pole. The principal objective was of scientific enquiry. 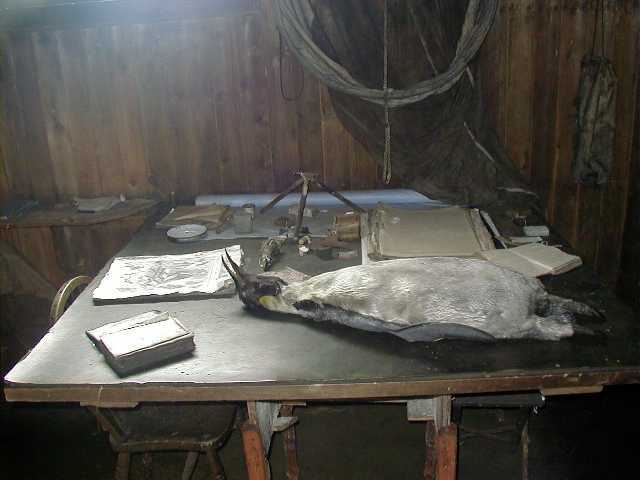 This Emperor Penguin was stuffed by the group and has remained on the table for nearly a century. This quest for knowledge may ultimately have caused Scotts death. On the return trip from the Pole the group was carrying 35 pounds of geologic samples along with other scientific equipment. 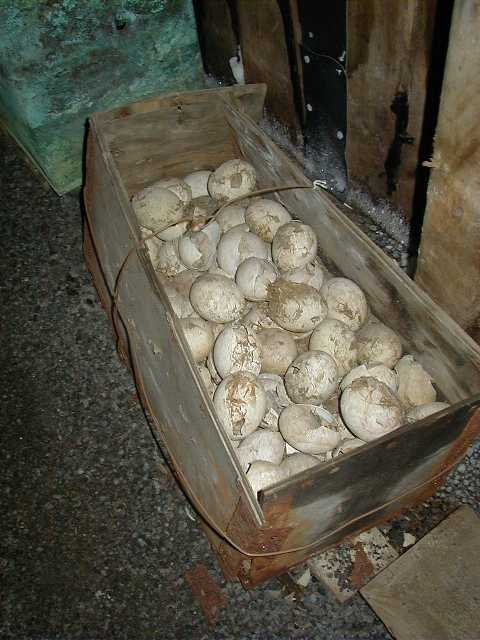 This crate of Emperor Penguin eggs were also part of the samples collected. A three man, mid winter trip was made through the 24hour darkness in 138degree in hope of being the first to collect embryo samples. My visit at the end of this century was definitely much more pleasant than Scotts at the beginning. However some of the same dangers still linger including these man-eating cracks. After a long day traveling through time a nap with some friendly locals made for a perfect afternoon. 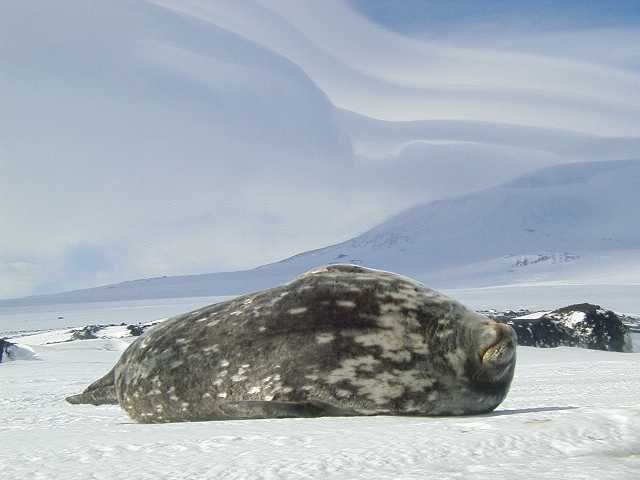 As with everything in the Antarctic when it comes time to go we leave everything and everyone as we found them in hopes that in another 88 years new explorers can enjoy the same sense of discovery.